The enterprise data center has evolved dramatically in recent years. It has moved from a model that placed multiple data centers closer to users to a more centralized dynamic model. The factors influencing this evolution are varied but can mostly be attributed to regulatory, service level improvement, cost savings, and manageability. Multiple legal issues regarding the security of data housed in the data center have placed security requirements at the forefront of data center architecture. As the cost to operate data centers has increased, architectures have moved towards consolidation of servers and applications in order to better utilize assets and reduce “server sprawl.” The more diverse and distributed the data center environment becomes, the more manageability becomes an issue. These factors have led to a trend of data center consolidation and resources on demand using technologies such as virtualization, higher WAN bandwidth technologies, and newer management technologies. 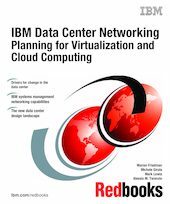 The intended audience of this book is network architects and network administrators.